Apple has given its automotive team a late 2017 deadline to "prove the feasibility" of its self-driving car system, and decide on a final direction for the platform, according to Bloomberg. Apple's ambitions no longer include building its own car "for now," but it could return to developing its own vehicle in the future, or partner with existing carmakers, the report claims. The project's shift has allegedly resulted in hundreds of employees being reassigned, let go, or leaving on their own terms since August, including more than 120 software engineers. The remaining members of Apple's car team, which comprises about 1,000 people, are said to be working on "autonomous programs, vision sensors, and simulators for testing the platform in real-world environments." Apple is said to have kept staff numbers in the team steady by hiring people to help with the new focus. The report follows months of internal struggles as Apple's so-called "Project Titan" team is believed to have faced delays and internal strife. 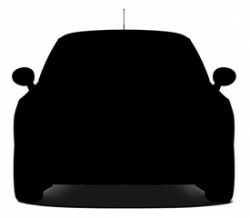 "Apple Car" lead Steve Zadesky reportedly stepped down from the project earlier this year, with his responsibilities shifting to Apple's hardware engineering chief Dan Riccio until longtime Apple executive Bob Mansfield took over the team in April and shifted the project's direction. While plans for an Apple-designed vehicle by the early 2020s are seemingly in flux, the company's research and development plans could change over the coming months and years. Nevertheless, Tesla CEO Elon Musk believes Apple will not have its own vehicle ready by 2020, calling it a "missed opportunity." I think they abandoned Mac plans too. I'm sick of waiting for this Apple Car to come out. Instead, I went out and bought a DELL XPS. Couldn't be happier with my decision. This is what happens when you abandon the headphone jack. Car manufacturing is a different kettle of fish to emojis and Apple just found that out. I can't say I disagree with this decision. What a titanic waste of time and resources. Meanwhile, happy Tim continues tweeting one photo after another from his super awesome trip to Japan. I also recall how excited he was about the rise of services at the Q3 earnings call, despite all hardware sales having gone south. With a languished Mac, iPhone and iPads that haven't been redesigned in years, iPads marketed as computer replacements, discontinued Cinema Displays and half-hearted peripherals, I wonder if Tim is invested in hardware at all or his vision is exclusively focused on services and PR. Which would be ironic considering the UX and UI of iOS and MacOS is in fact weakening. Still, he doesn't seem to flinch one bit. It's an easy conclusion, I know, but evidence points to that direction. Focus on the computer/software aspect, not the actual car part. Makes a million times more sense. They should just have bought Tesla if they wanted to make an Apple car. Until we can program morality, self driving cars won't be a thing. Remember how many times you were faced with this scenario in the last year? In your life? Remember all your family members and friends who faced this scenario? Remember all the celebrities? This problem DOES NOT EXIST. If you're faced with the scenario where you can hit a pedestrian or a brick wall, the speed limit is 20 MPH. Hitting something or someone will injure them - maybe send them to a hospital. They almost certainly won't die. Unless you're speeding badly. With an autonomous car, defects in the brakes would be immediately noticed. The car would demand that it be serviced before driving you anywhere.